Nestled along the Rocky Mountain foothills, Niwot sets itself apart as a town rich in historical past and contemporary arts. Old Town Niwot boasts beautiful Victorian buildings and a great restaurant scene. The town manages to balance all of this with a great landscape and lots of open fields for outdoor entertainment. 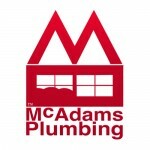 McAdams Plumbing is thrilled to be able to work in such a great place and to be your first choice plumbing repair in Niwot. If the service you need isn’t on this list, give us a call at 303-465-1900 and let us know what you have going on. We’re here for you. And all sizes: 30, 40, 50, up to 100 gallon! Leaks are wasteful and destructive. If you have a leak in your home make sure you get it fixed before the problem gets too big. Our plumbers are trained to find leaks at the source and fix them right the first time. We want to save you the headache of having to replace water damaged floors, ceilings, walls, and possessions. So don’t wait on having that leak fixed, take care of it while it’s still small. Prevention is the best step in avoiding water damage. 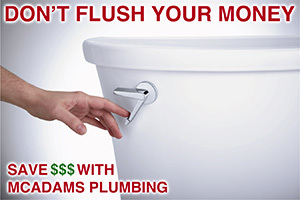 That’s why McAdams Plumbing recommends the installation of a WaterCop Automatic Water Shut-Off Valve in your home. The WaterCop unit is fastened on your main incoming water line where it controls a valve that turns your water on and off. It receives a signal telling it to close the valve when one of the wireless WaterCop sensors placed in your home comes in contact with water. This cuts the leak off before it can cause serious damage. 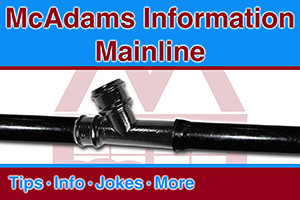 Thank you for your interest in McAdams Plumbing. If you ever need plumbing assistance, day or night, please don’t hesitate to call. 303-465-1900.